We had enough collards for a meal! Turns out Daniel’s brother, Solen loves to eat (and harvest) them. We will harvest again in another week or so. Our garden is the gift that keeps on giving. Prepare and amend soil in the fall. Plant seedlings 12-18 inches apart in well-drained, moist soil. Water as needed. Harvest the lower, largest leaves as the plants grow. 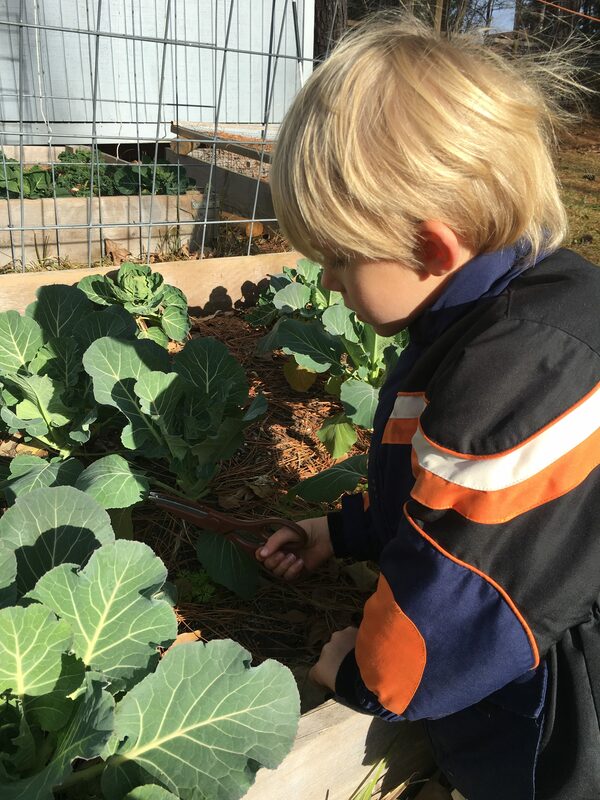 Collards are resistant to frost, so don’t worry too much if it gets cold. In extended periods of freezing weather, you can cover the plants with a sheet. Enjoy fresh or steamed with meats or other vegetables as a main or side dish.